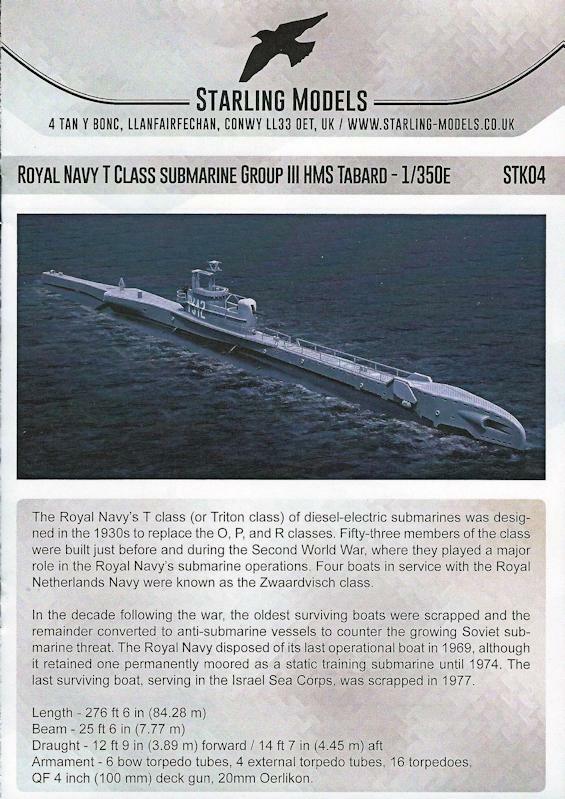 This Group III T-Class sub is made by Starling Models and is an excellent kit of an iconic British WWII sub. 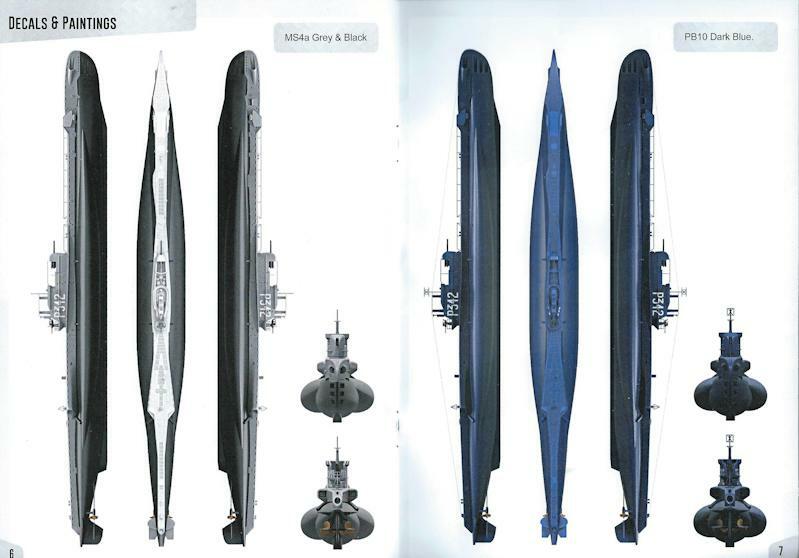 Note the two types of gun emplacement. 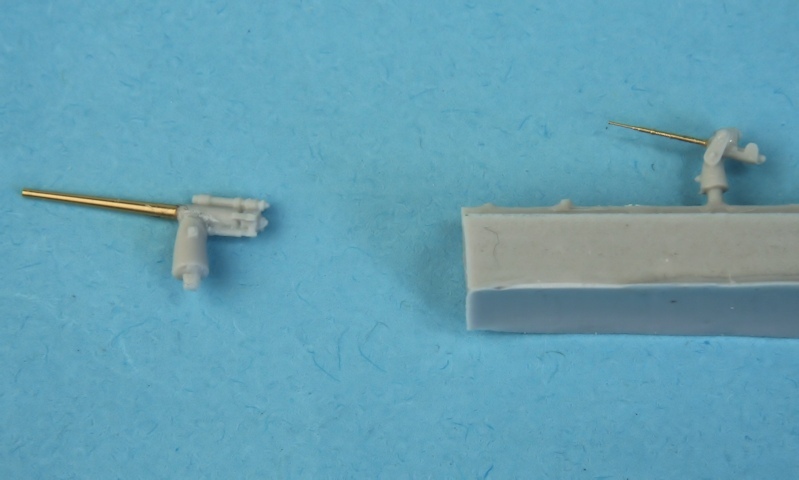 The rest of the resin parts. 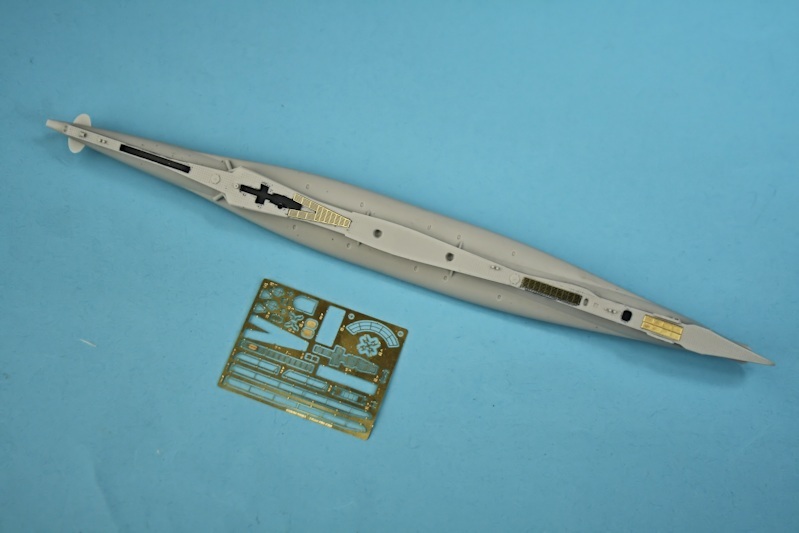 Gun barrels from Mastermodel, etched brass fret and decal sheet. 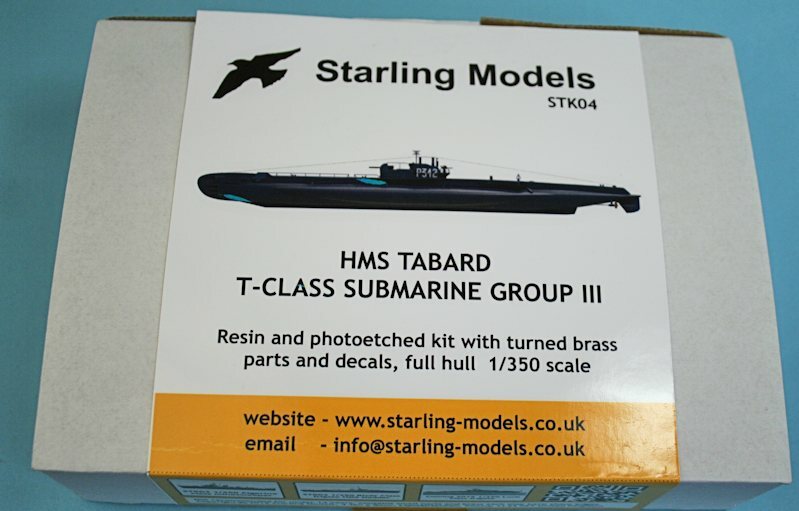 This is a quality kit of an important British submarine - and if it proves as popular as it should, we hopefully can expect more from Starling Models. 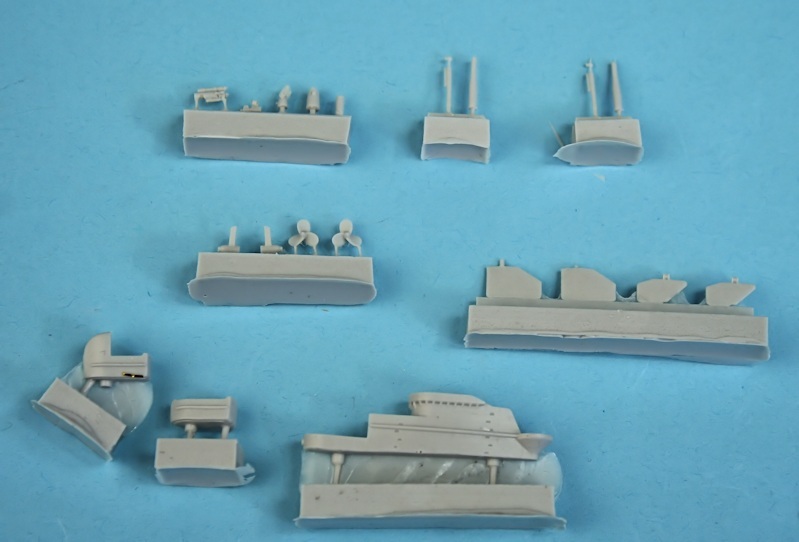 I cleaned up some casting 'flash' and washed the parts in warm soapy water and made a start on adding the decking parts. I had thought that the etched brass decking would simply be stuck down onto a flat deck to provide detail - but it is much better than that! 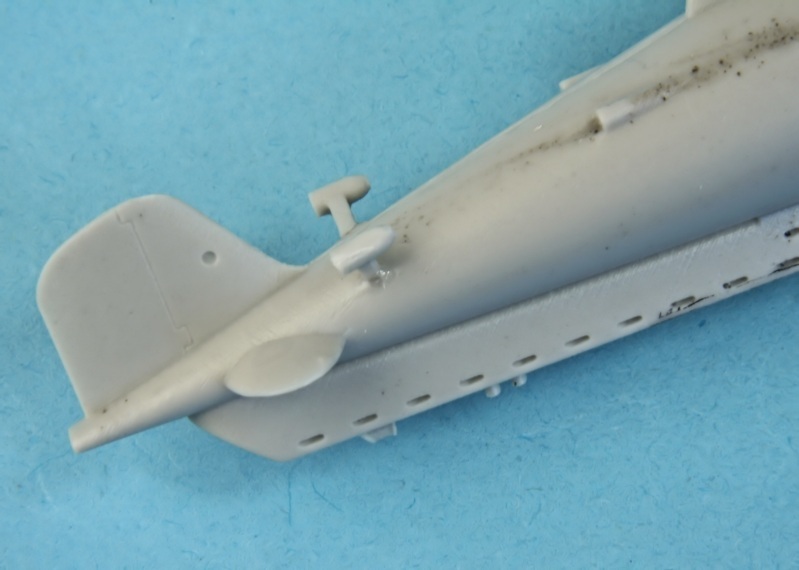 The etched parts are actually grilles that fit over recesses moulded into the deck - just like the real thing! So before adding them I painted the recesses Panzer Grey - on the grounds that it would be easier than trying to paint inside the recesses AFTER the grilles were in place. In the above photo, the front torpedo hatches, an open weave forward grille and a closer weave rear grilles have been added - with more still to add. For example part 8 on the instruction sheet is actually 10 on the etched fret, instruction sheet part 10 is etched as part 9 and part 9 on the instruction sheet is on the fret - but not numbered ! Minor errors and easily identifiable. If anyone is still following ??? 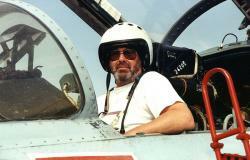 with a turned metal barrel provided by Master-Model of Poland. the 4in even has a hole at the sharp end !! 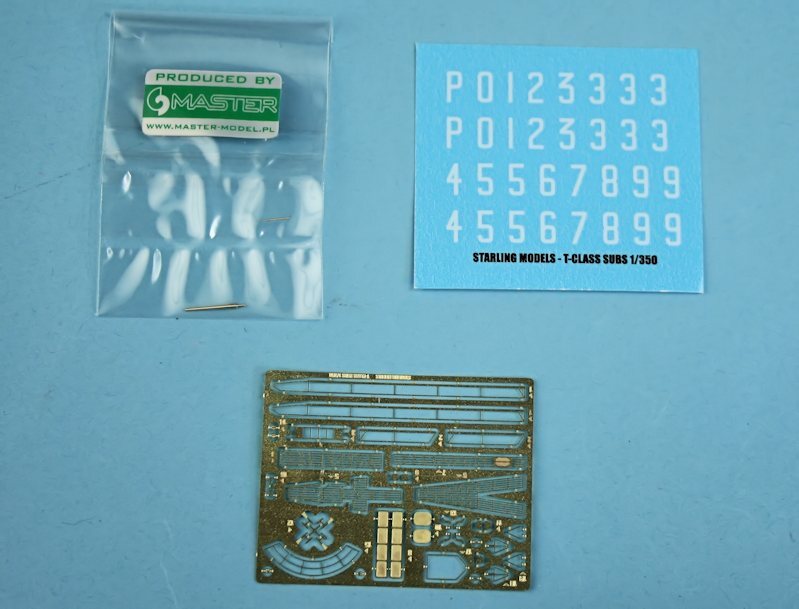 20mm resin parts are 8 & 9 - not 7 as quoted on the instruction diagram. 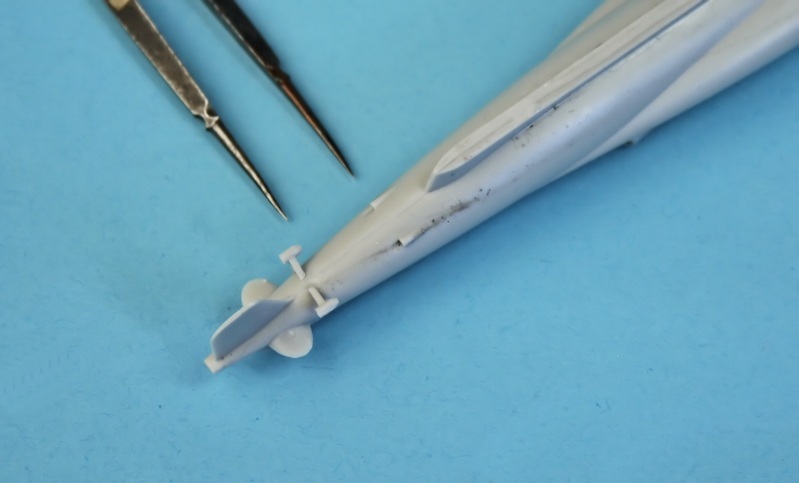 These minor quibbles aside, this really is a stunning kit - you just need a degree in Micro Surgery to do it justice!! Although..... if I can do it, anyone can. Awesome. Have been waiting to see one. Need to get one on my shelf. 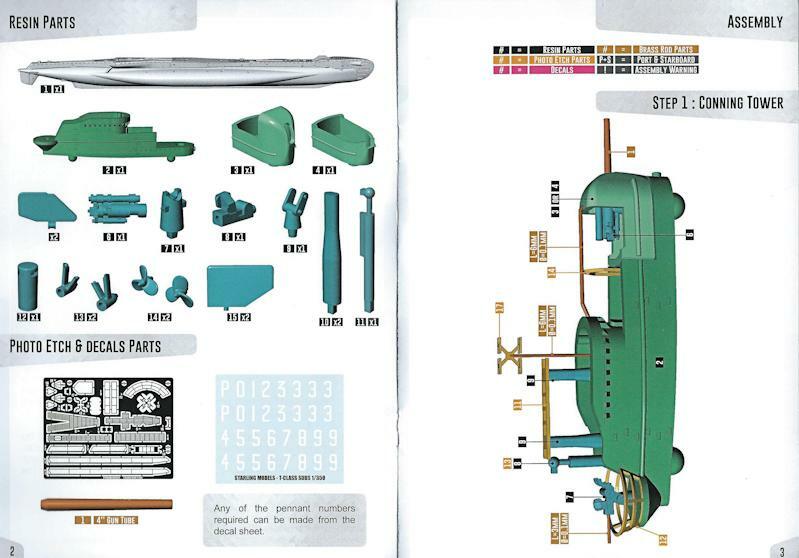 Should kickstart my WWII submarine build, but I need to decide what Soviet boat to do. Now back in stock Dave! Already ordered. It is in the mail to me already in Connecticut. So looking forward to it. Thank you for the great service assisting me the other day.